Lots still going on, but frustratingly nothing much I can show you. 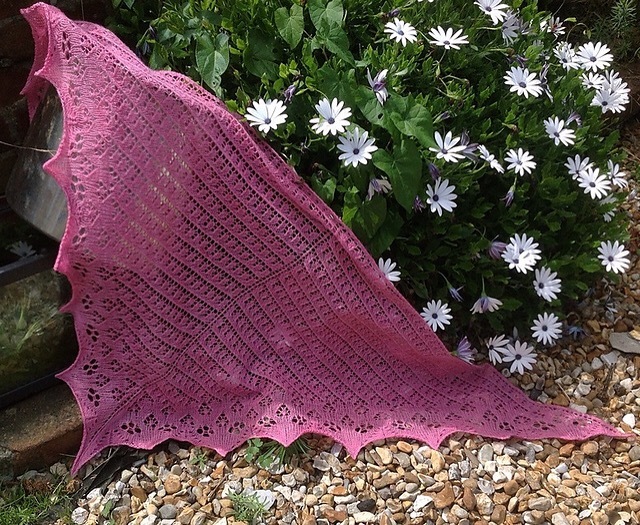 Picked up another commission this week, a nice little lace scarf in heavy yarn for Knotions, and no I can’t show it to you, but I will let you know when it is out. The sweater for Madame Le Farge does Sherlock is continuing, I can’t show it to you in full, but this is what it looked like a few days ago. Scrunched up to hide details and monochrome to protect the colour 😉 . Also on the needles the Fall shawl for The Unique Sheep and a sock that I keep carrying to and from work, hoping to work on it at lunchtimes, only to carry it all the way home again every day untouched. 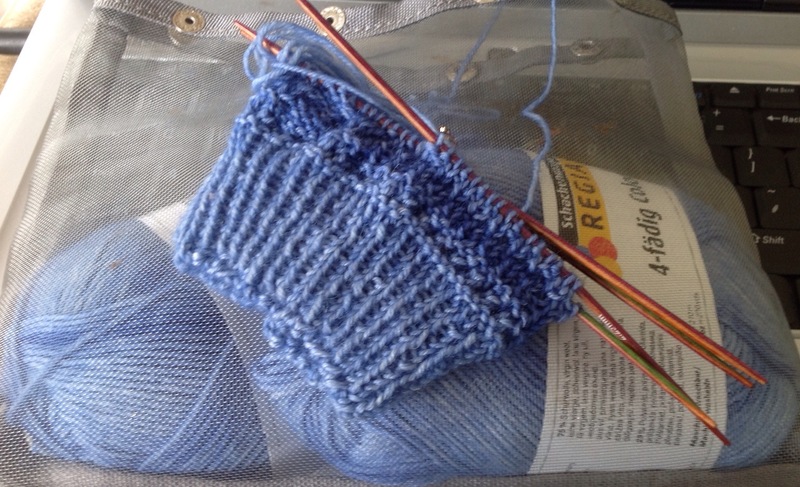 For those who like to know they are the Asparagaie socks in Regia 4ply a faded denim sort of colour. I cast these on last Summer and haven’t got very far. In fact when I took them out of the WIP box I scratched my head for a while trying to remember what pattern they were…. Last couple of weeks at school are always ridiculously busy, what with reports to put in and this year a whole new build to populate. My life currently consists of a series of “to do” lists, for me and for others. I am really looking forward to the Summer. Only thing on that to do list is to keep the garden under control, lots of knitting and (hopefully) a bit of time to relax. I can’t Believe It Has Been More Than a Year!